On this day in 1942: The United States signs a second protocol with the Soviet Union, promising to provide the Russians with 3.3 million tons of supplies between the signature date & July 1st, 1943. “When you get out on the sea with its vast distances, its storms and mists, and with night coming on and all the uncertainties which exist,” Winston Churchill said to the House of Commons in 1940, “you cannot possibly expect that the kind of conditions which would be appropriate to the movements of armies have any application to the haphazard conditions of war at sea.” On the moonless night of November 12th, 1942, in the waters near Guadalcanal, a US Navy task force sent to reinforce and resupply the American ground forces struggling to secure the island, nearly collided with a Japanese naval force on a similar mission. Both sides loosed furious barrages at nearly point blank range; both took heavy losses. The wounded USS Juneau limped on – until a torpedo from a Japanese submarine struck close to its ammunition stores. “The whole ship disappeared in a large cloud of black, yellow black, and brown smoke,” one witness remembered. 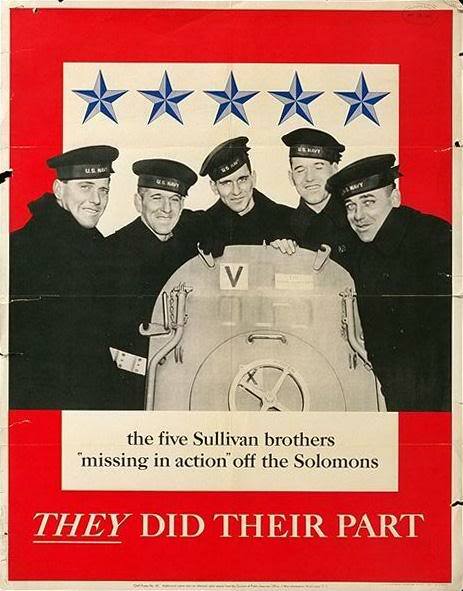 “It is certain,” another reported, “that all on board perished.” In fact, most of its crewmen were killed – including four of the five Sullivan brothers from Waterloo, Iowa, who had insisted on serving together on the same ship. The eldest brother, George, was among the few dozen men who made it into life rafts, but he was not among the ten who survived more than a week of drifting in dangerous seas. The tragic loss of five of Thomas and Alleta Sullivan’s six children in this single engagement focused renewed home-front attention on the battles raging across the world’s oceans. “There’s a kite on fire dead ahead.” December 1943: American war correspondent Edward R. Murrow was on board a British Lancaster bomber, part of a large wave of aircraft mounting a nighttime raid on Berlin. Soon, the “kite” [aircraft] that the Lancaster’s gunner had reported seeing on fire had become “a great golden slow-moving meteor slanting toward the earth.” Now approaching its target, Murrow’s plane was hard-pressed to avoid a similar fate: “The sky ahead was lit up by bright yellow flares. Off to starboard, another kite went down in flames. The flares were sprouting all over the sky… and we were flying straight for the center of the fireworks.” The sky was another battlefield, and aircrews of all the major combatants suffered heavy casualties from antiaircraft and machine-gun fire, midair collisions, and crash landings. Many airmen suffered terrible burns when their damaged aircraft burst into flames. 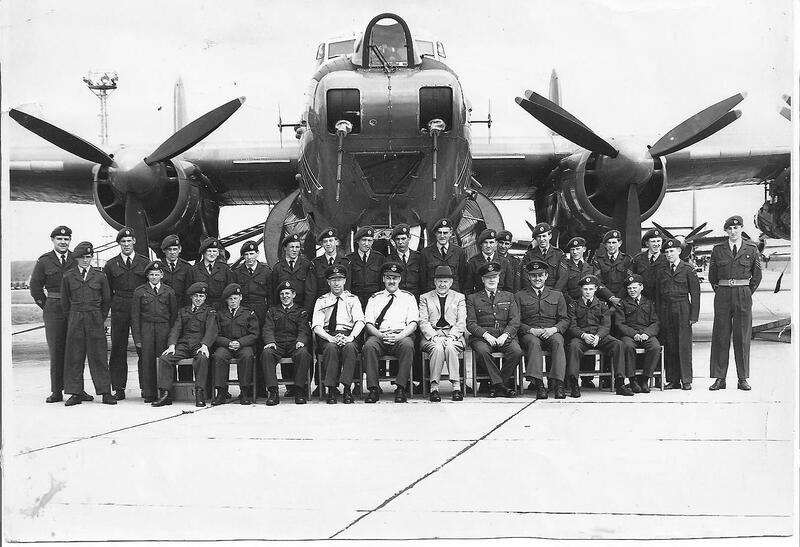 “The plane was like an inferno,” former RAF crewmen Bill Foxley told a Guardian reported in 2006. “I had 29 operations over three and a half years, rebuilding my face and repairing what was left of my hands.” Fortunate enough to be cared for by the British plastic surgeon Archibald McIndoe at his hospital in East Grinstead, Foxley joined more than six hundred other McIndoe patients in forming the Guinea Pig Club, named for the innovative techniques McIndoe used to repair, as much as possible, the terrible damage warfare had done to them.